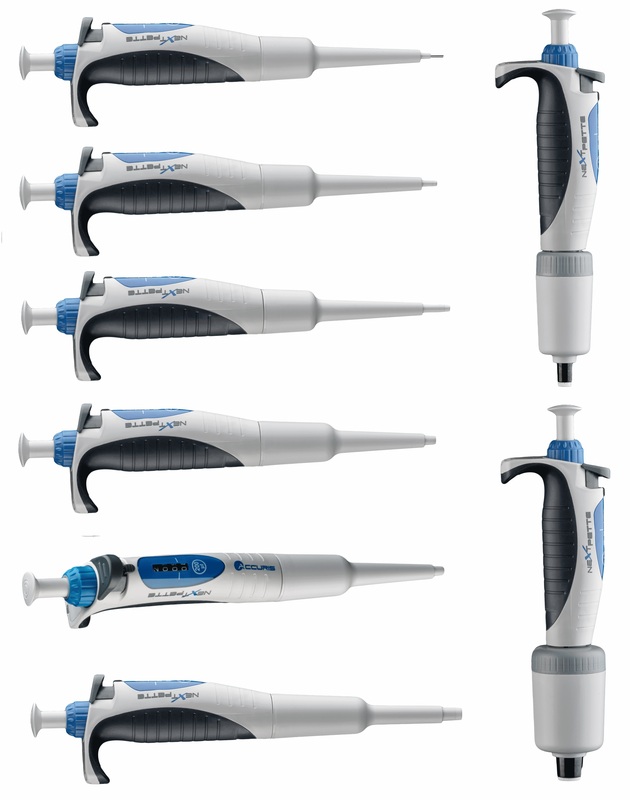 The Accuris™ NextPette™ is a newly designed next generation pipette that has a combination of features unmatched by any pipette in the world. Easy to use one hand operation, precision volume control, easy to read display, short piston stroke, easy in-lab calibration, lightweight and very light plunger force. Available in 8 sizes to accommodate tips from 10 µL to 10 mL. 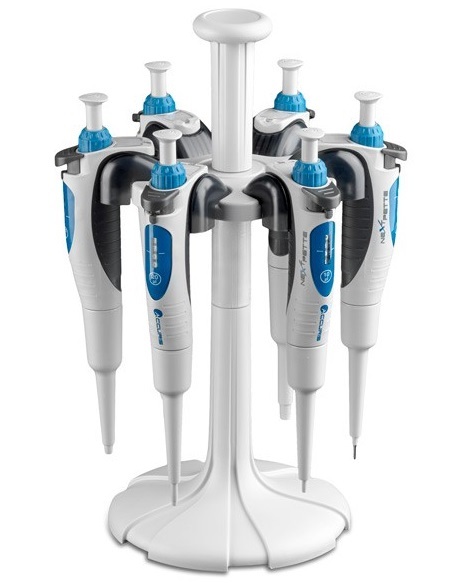 Quad packs of four NextPette™ pipettes with a complimentary P7700-CAR Carousel Stand are offered at attractive prices. Each NextPette™ instrument is individually tested according to stringent validation and control procedures using gravimetric methods in accordance with EN ISO 8655.